According to actor Hugh Jackman, Logan, will be his tenth and final appearance as the beloved X-Men character, Wolverine. While I don’t believe that Jackman is completely finished playing the Marvel mutant, the actor is stepping away from the character for some time. Regardless if he reprises the role or not, this film is a near-perfect send-off for the actor and his character. 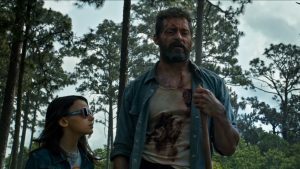 Logan follows a beaten-down Wolverine, in a near future where mutants are nearly extinct, who is hiding on the Mexican border caring for an ill Professor X (Patrick Stewart). However, his plans quickly change when a young mutant, named Laura (Dafne Keen), shows up and needs their help. Don’t think it, don’t say it. “It” is referring to the evil, hooded boogeyman who stalks three college students in the new horror film, The Bye Bye Man, from STX Entertainment and director Stacy Title. The movie, based on a chapter out of Robert Damon Schneck’s book, “The President’s Vampire,” is nothing more than a reminder that it’s officially January. In case you don’t understand my reference, January and February (also August and September) are commonly referred to as “dump months.” To be more specific these months are when studios “dump” the movies they have the least faith in, critically and financially, into the theaters. Ever since Batman v Superman: Dawn of Justice was announced at the 2013 San Diego Comic Con, the world has been waiting to see the battle of a lifetime. Nearly three years later, people can now see the Dark Knight go one on one with the Man of Steel on the silver screen for the first time, thanks to director Zack Snyder. Snyder, in a way, has been chosen to lead Warner Bros. with their DC Comics film series. 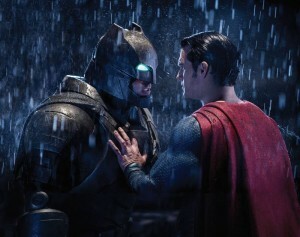 He directed this movie’s predecessor Man of Steel (2013), and will direct the upcoming Justice League films as well as produce Suicide Squad, The Flash, and Aquaman. It’s an interesting choice based on the fact that Snyder is quite the polarizing filmmaker; many critics and fans haven’t approved his work in some time. In fact, Man of Steel was met with a lot of criticism, hence why they didn’t make another solo Superman movie. Instead, they had to add Batman because he is a box office draw. Regardless, this is the beginning of what is to come from DC and Warner Bros., and the tone will be set by Batman v Superman: Dawn of Justice. The movie follows the final events from Man of Steel when Superman (Henry Cavill) battle with General Zod (Michael Shannon) nearly destroyed everything in sight in the city of Metropolis. However, the audience is given a different perspective in Batman v Superman: Dawn of Justice. We see the events through the eyes of Bruce Wayne (Ben Affleck), who sees his building destroyed, in which some of his employees perish during the brawl. Wayne (who is secretly the Batman) now believes Superman is a force that has to be dealt with, because though he is seemingly doing good, he could “burn this whole place down” and the world would have to watch. In 2002, director Joel Zwick and writer Nia Vardalos taught the world just how loud and large a Greek wedding can be with their hit movie, My Big Fat Greek Wedding. It remains the highest grossing romantic comedy of all-time, even though it never reached the number one spot at the box office. The film has earned over 368 million dollars worldwide, on the small budget of only five million dollars. With that type of success, nobody was surprised when My Big Fat Greek Wedding 2 was announced, even if it was 14 years later. My Big Fat Greek Wedding 2 continues the story of Toula Portokalos (Vardalos) and her huge, sometimes very needy Greek family. Only this time, she’s trying to balance multiple parts of her life, including, dealing with her daughter who wants to go to college out of state and the lack of romance with her husband. But that’s not all, the entire Portokalos now have to ban together to arrange a wedding when they learn Toula’s parents, Gus (Michael Constantine) and Maria (Lainie Kazan), were never officially married.